PBGS: PBGS performs in the West End!! PBGS performs in the West End!! 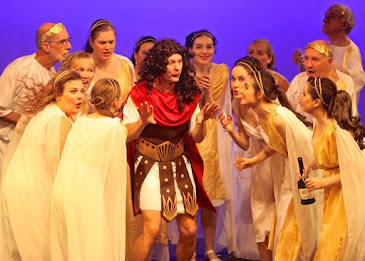 On 25th June, six PBGS performers, one Musical Director and 2 Wolverton G&S performers - with a technical Chairman - headed to the Harold Pinter Theatre in London's West End. 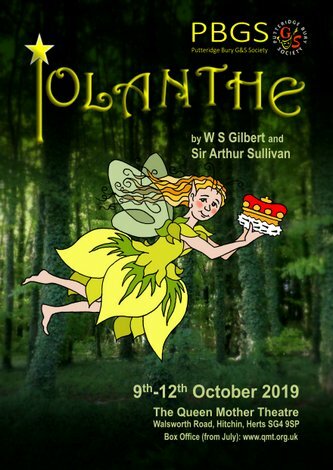 Given one weeks' notice by the BBC's "The One Show" to perform the opening chorus from Iolanthe, we dragged the costumes out of the garage, choreographed the number, organised 2 rehearsals and gathered as much fairy dust as possible! By trains, we were able to meet at the theatre at 1.30pm; from PBGS:Jo Bigg, Stevie Gibbs, Ketina Orriss, Paula Fraser, Nicole Santelmann, Laura Abella, Richard Fraser and Margaret Johnson. from Wolverton G&S; Jude Lovely and Karen Platt. On arrival we were greeted by Jake - the (very relieved) One Show Researcher - given the bar to change in (no, it was locked), given fairy lights to wear - which involved Richard ferreting around down the backs of fairy costumes - and headed onstage. By 2.30pm we had done two run-throughs with Margaret at the helm - we increased the amps as we can be a bit loud when we all get together and hearing the keyboard was a problem! We were introduced to Kate - the Director, and Marty - the Presenter and the filming began. After about 10 takes of the whole number, with the camera following various people or taking wider shots of the whole company, we repeated the ending several times to fit in a special surprise. Thankfully there were some breaks for water and rest whilst the technicians moved the camera, but it was great fun and less stressful than being live! By 4.15pm we were done - 45 minutes early! And we headed off to Prezzos for some well earned refreshment and to rest some weary fairy feet. And all of us can say we have performed on a West End Stage! !